Sorry for not posting regularly though I have been baking a lot . . . mostly my tested recipes. Hope this wonderful sweet toffee will make you forgive me easier. Avvi loves the jams that I make for him (well he doesn’t have an option, as he has not tasted any of the commercially available jams). 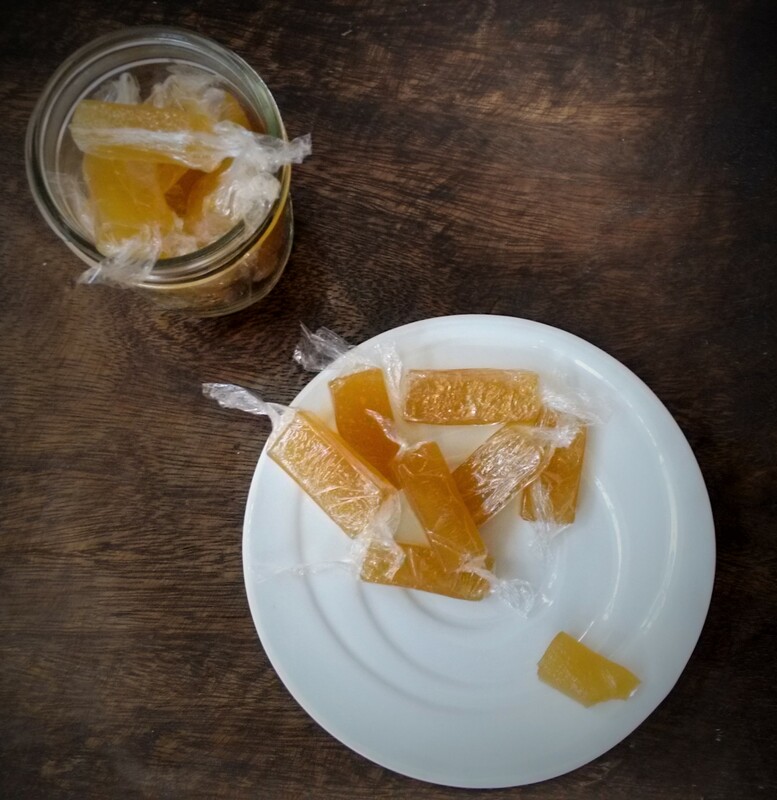 I had recently made some guava jam for him and to finish this festive week I have this toffee with amla. I have wrapped it in cling film for easy packing and . . . of course it looks cute. Amla (Gooseberry) is very rich in Vitamin C, contains many minerals and vitamins like Calcium, Phosphorus, Iron, Carotene and Vitamin B Complex. It is also a powerful antioxidant agent. 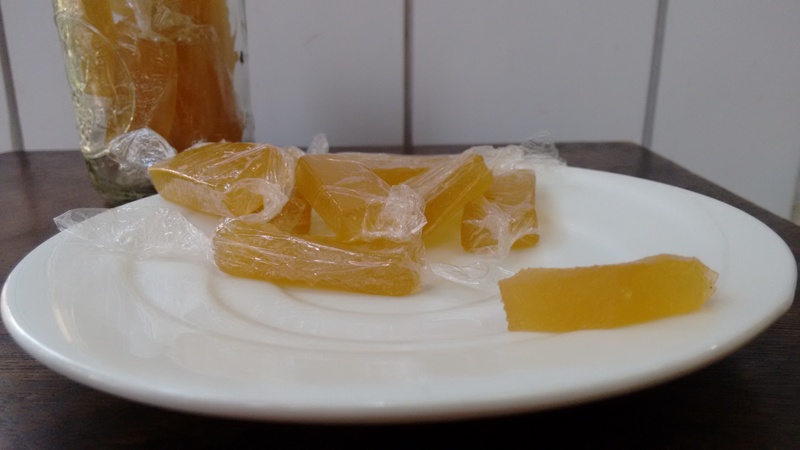 Amla is a main ingredient of Chawanprash too. Pressure cook washed amla with 100 ml of water. Let them cool and deseed them. Blend the deseeded amla with the existing water to a paste consistency. Strain the pulp to remove the fiber and measure it. I got 1 cup of pulp. Add ghee and salt to it and mix well. Heat it on a medium flame till it starts bubbling and then reduce the heat. Keep stirring. The paste goes from whitish to gel like. Meanwhile, grease a plate and drop a small drop onto this plate. 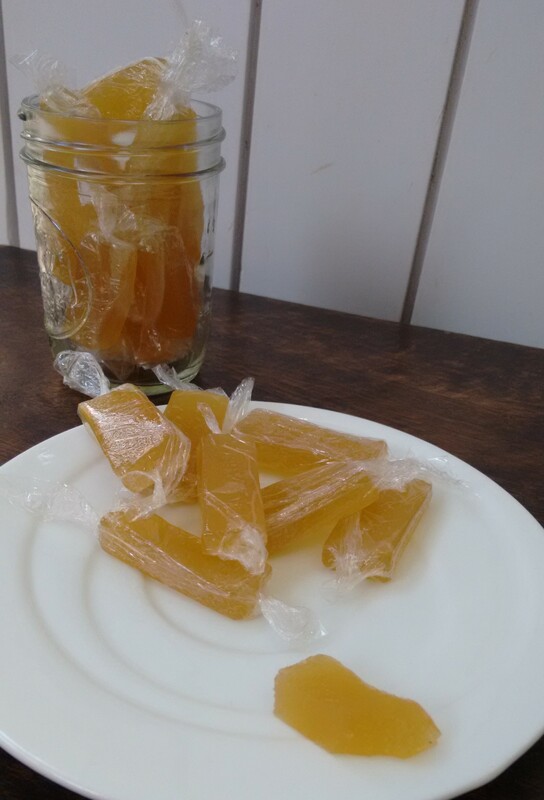 If the paste does not stick and rolls easily then your toffee is done, else cook for some more time. Spread the hot paste onto grease plate and let it cool completely. Cut into shapes and pack them.